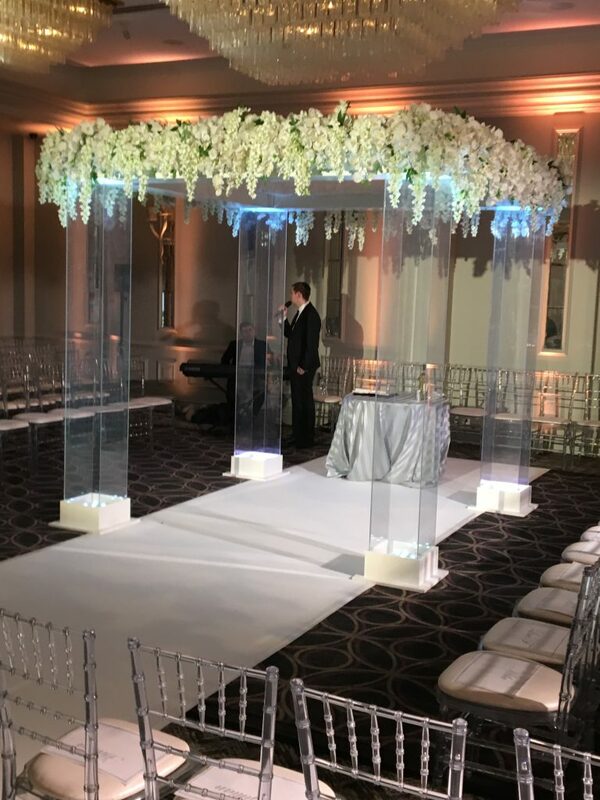 We supplied our Gold Frame chuppah at The Langham Hotel over the weekend. The chuppah’s spring-like floristry was dressed by Funky Flowers to give an airy, light feel to the chuppah. 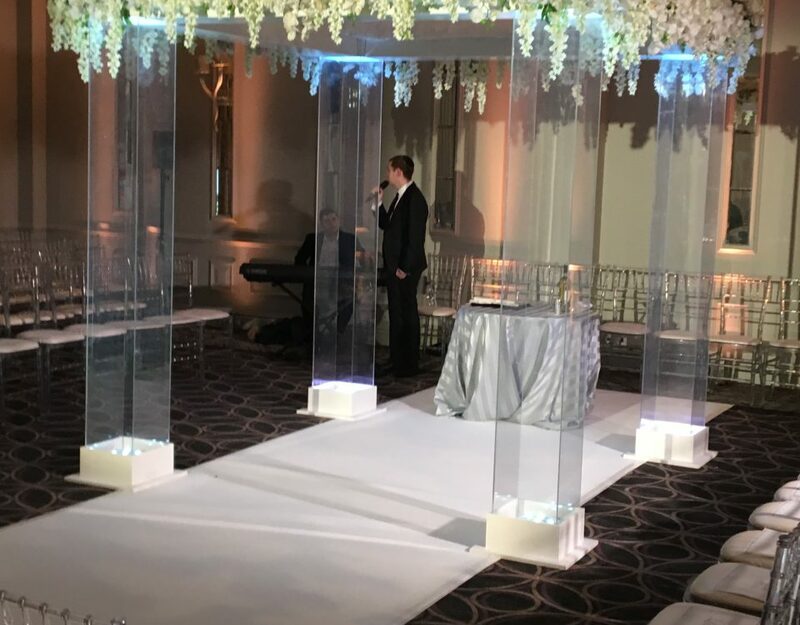 We also provided a 14m long white carpet aisle and 42ft wide white draping to hide the dinner tables during the chuppah.